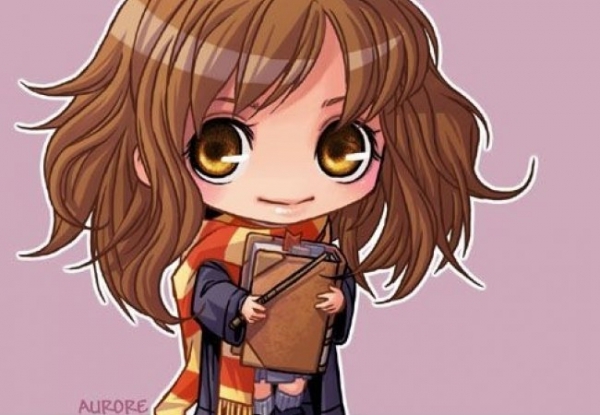 Hermione Granger, a fictional character from J.K Rowling's Harry Potter series is very inspirational. Belonging to a Muggle (non-magic) family, she paves her way to success in Hogwarts, through sheer will and support from her peers. Undoubtedly, she is bullied and hurt by others, but she manages to hold her own throughout. I like Hermione most of all in the series because of several reasons. Firstly, she is representative of individuals who make their lives worthy, despite having very little means. She is not shown to be as wealthy as Harry or even having the kind of family legacy that Ron does. And yet, she flourishes in her academics, has good rapport with the teachers; and is generally a very welcoming person. Secondly, she understands the importance of knowledge. It is through her vast knowledge and quick wit, that many of the obstacles in Harry's life are resolved. And so, she plays a very integral role in the series. Thirdly, her character arc is very commendable, as her personality development is apparent through the course of their journey. She is selfless at times and peacefully attuned to herself at others. Even though she is referred to as a "Know It All", her enthusiasm for participation and recognition is contagious. Her countenance may have undergone some changes, from book to movie, but the Hermione we encounter, is the idea of a person that J.K Rowling tries to communicate - someone who is dauntless and loyal. This tribute is to the Mudblood who braved it all.